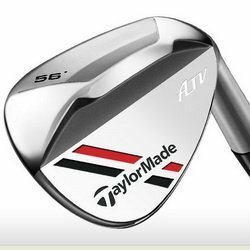 Home Equipment Want To Test TaylorMade ATV Wedges? Want To Test TaylorMade ATV Wedges? Lots of buzz around the new ATV wedges both on tour and around the world of golf. THP wants to know how well they work for you. The ATV wedges will be a great test for 8 lucky THP testers. If your looking to replace your wedge set up this will be a thread to follow to answer any questions that arise. Looking forward to reading about the review, or hopefully giving them. I signed up. Thanks THP and TMaG. Pretty sweet round of testing compliments of TMaG and THP! There has been a tremendous amount of talk and chatter about these wedges and it’s always fun when there’s some long term forum testing. THanks for bringing this kind of opportunity to the forum. Nice looking club. Would be great to replace three wedges in the bag with one. This is a great testing. I think a lot of amateurs need help in the wedge area over the driver. I think this is going to open some eyes to really helpful wedges out there. Thanks THP and Taylormade. Good looking stick and really liked the show with JB and Mike Fox. Looking forward to the reviews on these. THP and TMAG are the best ! What an awesome testing opportunity. Can’t wait to see the coverage of the testing on this one! Really enjoyed reading the feedback out of the demo day regarding these and the radio show this past Friday was TOP notch! Looking forward to hearing what the lucky reviewers think about this. Great opportunity thanks to TaylorMade Golf & THP. This is a great opportunity for 8 testers. Thanks TaylorMade and THP! Great looking wedges. Looking forward to seeing how they perform in the hands of the testers. Another great chance for THPers, regular golfers to give real life feedback on a product. Thank you THP and Taylormade for your forward thinking. Would love to test some taylormade wedges. Thanks to TaylorMade and THP for another great testing opportunity. The ATV wedges sure seem to have a lot of logic and versatility built into the design, and I look forward to reading the thoughts of the chosen testers. Thanks so much to THP and TaylorMade golf! The personalization of this testing is AMAZING! Thanks again!